Ethics Agency Rejects White House Move To Block Ethics Waiver Disclosures : The Two-Way The Office of Government Ethics "declines your request to suspend its ethics authority," its director tells the White House. The administration said compiling the waivers exceeded OGE's authority. Walter M. Shaub Jr., director of the Office of Government Ethics, notified the White House and federal agencies in April that his office wanted to see all ethics waivers issued by President Trump's administration, setting a June 1 deadline. The White House action, a letter to OGE Director Walter M. Shaub Jr. from Office of Management and Budget Director Mick Mulvaney, was first reported by The New York Times. The newspaper had earlier published a detailed account of lobbyists turned appointees who were granted waivers and now oversee regulations they previously had lobbied against. With an ethics waiver, a federal official is free to act on matters that normally would trigger concerns about conflicts of interest or other ethical problems. Federal regulations say the waivers generally should be made public on request. The Obama administration routinely posted waivers online. The Trump administration has issued an unknown number and released none. Shaub notified the White House and federal agencies in April that OGE wanted to see all ethics waivers issued by President Trump's administration. He set June 1 as the deadline. The broad request is known as a data call. Mulvaney notified Shaub in a letter last week that the data call "appears to raise legal questions regarding the scope of OGE's authorities." He said he wanted the data call put on hold until it is reviewed by the Justice Department's Office of Legal Counsel, which advises the executive branch on constitutional questions and limits of executive power. The move could block the request for waivers indefinitely. 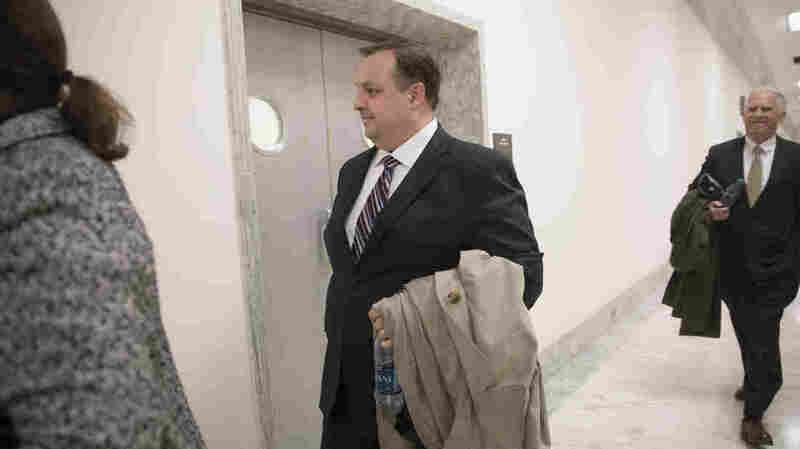 Shaub told the White House late Monday that his agency would continue collecting the ethics waivers. In a nine-page response, Shaub said that the OGE "declines your request to suspend its ethics authority," adding that "public confidence in the integrity of government decisionmaking demands no less." Under federal regulations, OGE is supposed to oversee all waiver decisions throughout the government. "OGE has a right to review any waiver," said former OGE Assistant Director Stuart Gilman. Referring to the data call, he said, "It's not like somehow or other this is a special case." The ethics waivers are supposed to be public documents, but the administration so far has not released them. An anti-Trump legal group, American Oversight, sued eight federal departments and agencies on Monday, arguing that ethics waivers should be released under the Freedom of Information Act. American Oversight had previously filed FOIA requests. -- OGE earlier this month announced a new certification document for Cabinet secretaries and other top-ranking appointees to show they are fulfilling the ethics agreements they signed before being confirmed by the Senate. Ethics agreements typically commit a nominee to avoid ethics violations through a blind trust, divestiture, recusal or similar action. The document must be signed by the official. As with tax returns and other federal documents, false statements run the risk of penalties. There was no previous oversight of compliance. -- The White House has raised a conflict-of-interest question to challenge newly appointed special counsel Robert Mueller, who will oversee the FBI's investigation of Russian interference in the 2016 election. The issue is that other lawyers at Mueller's former law firm represent presidential daughter Ivanka Trump; her husband, Jared Kushner; and onetime Trump campaign manager Paul Manafort. Mueller never worked for those clients, but under ethics law he still could require a waiver for his new job. It's worth noting that while the White House suggests conflicts for Mueller, it obtained an ethics agreement for EPA Administrator Scott Pruitt. He needed it because, in his previous job as Oklahoma attorney general, he was a plaintiff in several lawsuits challenging EPA regulations. -- Last winter, Shaub used Twitter to exhort Trump into putting his hundreds of corporations into a blind trust. Trump instead put them into a revocable trust, where he can draw money from his businesses whenever he wants.